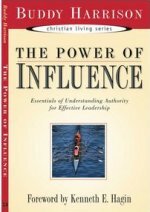 Description: Essentials of Understanding Authority for Effective Leadership. Christian Living Series. Dr. Buddy Harrison reveals the amazing relationship between authority and faith. This important principle helps leaders and future leaders understand what their responsibility is to God and to leaders above them. Without a proper understanding of authority, leaders and their apprentices can fall short of God’s best and open the door for strife and confusion to wreak havoc in their organizations. Readers will learn God’s position of sovereignty in the New Testament, the different levels of authority under God, the qualities of a leader, the difference between submission and obedience, and more! This short but powerful message is vital for every Spirit-led ministry.